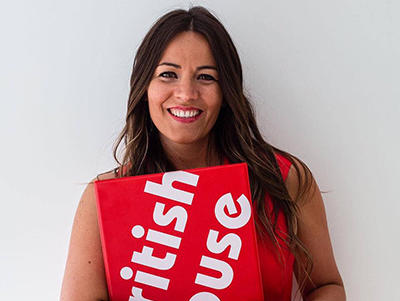 Griselda is the founder and director of British House. Languages ​​and teaching have always been her great passions since she founded the school in 2001, and continuous learning is her philosophy of life. That is why she enjoys both her work as director of British House and the educational mission of the school. Griselda graduated in English Philology from the Autonomous University of Barcelona and the Surrey University in England, and was awarded the Extraordinary Prize for the best university record of her promotion. In addition, she obtained the CAP (Certificate of pedagogical aptitude) and is certified as a Teacher Trainer, and as a Director of Studies by International House. Apart from languages, Griselda is passionate about Positive Psychology and Coaching to help people reach their potential, and that is why she has a postgraduate degree in Positive Psychology from the University of East London, and obtained the CAPP (Certificate in Positive Psychology) in New York. She also graduated in Personal and Executive Coaching at New York University. Finally, team leadership and business management are some of Griselda’s other passions and she has studied a Master’s Degree in Business Administration and Management at the Polytechnic University of Barcelona and continues to train every day. In addition, Griselda loves travelling and has travelled extensively around the world. One of her mottos is ‘Let the world change you and you will be able to change the world’. Aside from living in Barcelona, ​​Griselda has also lived abroad for several years, in cities such as London, New York, Sydney and Oslo. She considers herself a citizen of the world and this international spirit is what she intends to transmit to British House students. That’s why the slogan of British House is Speak Languages! Be International!. And the mission of the school is that all people, whatever their age or initial level, can access a high quality, effective and motivating language teaching, and thus have more opportunities, both professionally, academically and / or personally around the world.